In case you haven’t heard, on June 23rd, a referendum was held in the United Kingdom asking citizens to vote on whether the country should exit or remain in the European Union (EU). Shockingly, Britons voted to leave the EU. Unsurprisingly, this immediately threw global markets into turmoil, as the uncertainty of the decision made international investors more cautious. Although there is much controversy surrounding the Brexit decision, it does bring with it one very positive effect: plummeting mortgage interest rates. 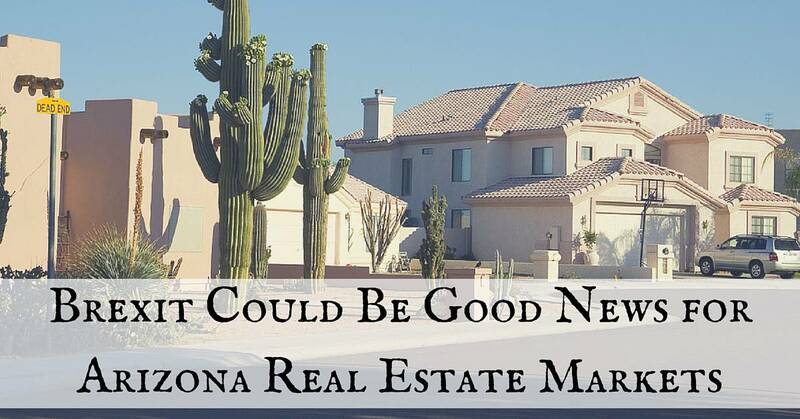 Whether you’re purchasing a new home or looking to refinance in Arizona, Brexit may have opened up the perfect opportunity. When an event such as Brexit shakes up stock markets and causes them to stumble, more investors leave the market and instead opt into purchasing the safer U.S. Treasury bonds. More demand means higher prices for these bonds but also lowers their yields – or interest rates. 10-year U.S. Treasury bonds are most closely correlated to mortgage rates; therefore, a drop in Treasury rates equals a drop in mortgage rates. Although the stock markets have since made a recovery, the lower interest rates are here to stay. Chief Freddie Mac economist Sean Becketti states, “this extremely low mortgage rate should support home sales and refinancing this summer”. Thanks to Brexit, mortgage rates have dropped to 3.45%. That’s the lowest rate the market has seen since 2012. According to Jonathan Smoke, a Realtor.com economist, these lower interest rates mean that the average buyer can now afford a home that is 8% more expensive than they could afford in the beginning of 2016. This is not only great for new homebuyers. It’s also the perfect time to consider refinancing. An example outlined by Catherine Reagor, with the Arizona Republic is as follows: on a $250,000 loan, the payment at 3.45% is about $220 cheaper per month than at a rate of 5%. In terms of Arizona’s super luxury multi-million dollar markets, the shaky stocks are not always great news as Arizona housing analyst Michael Orr states. Homebuyers in the luxury market tend to be more invested in stock market and are therefore less likely to purchase during a time when stocks are unstable. If you do decide to take advantage of these extremely low interest rates and purchase a new home in the valley – you may want to consider installing CC Sunscreens protective window and patio shades. Your new home is one of the biggest investments you’ll ever make – why not protect it (and everything inside it), while simultaneously increasing the value of your property when you’re ready to sell? Professionally installed sunscreens save 25% of monthly energy bills on average, and are a great selling point when you’re ready to make your next move. Call to schedule your free, no-obligation, in-home consultation with one of our experts today! To learn more about Brexit and it’s impact on Arizona real estate, visit Forbes, The Arizona Republic, or RISMedia.